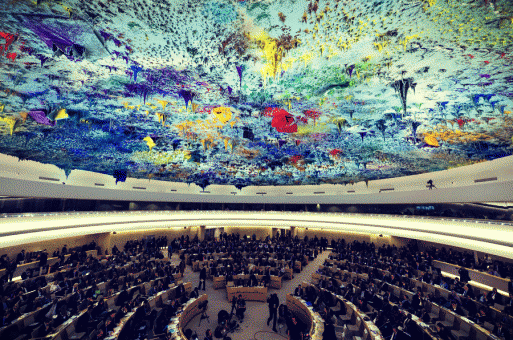 What is the proposed treaty on business and human rights? The call for a treaty comes from a network of activists and states demanding that corporations be required to uphold human rights, labour and environmental standards when conducting business at home and abroad. Treaty advocates argue that soft law, underpinned by the UN Guiding Principles on Business and Human Rights, is insufficient on its own to change corporate practices, ensure companies can be held to account, and guarantee access to justice for victims of corporate abuse. The Ecuadorian government has been leading on proposals to develop a treaty on business and human rights. Treaty discussions have been gaining momentum since June 2014, when the UN Human Rights Council adopted a resolution by which it decided to set up “Open-Ended Intergovernmental Working Group on Transnational Corporations and Other Business Enterprises with Respect to Human Rights”. The resolution received support primarily from a countries in the Global South, including Algeria, Pakistan, Indonesia, Cuba and Venezuela. In addition, four of the five major ‘emerging’ economies also supported the resolution – Russia, India, China and South Africa. The countries who have shown opposition to the treaty’s development are those which are home to the world’s largest multinational corporations, including the USA, UK, Canada and a number of European countries. A ‘Treaty Alliance’ group has also been formed, with support from SOMO, CAFOD, CETIM, CIDSE, Dismantle Corporate Power, Campaign, ESCR-Net, FIAN, FIDH, Franciscans International, Friends of the Earth International, IBFAN-GIFA, Indonesia Global Justice, International Commission of Jurists, Legal Resources Center, PAN AP, Transnational Institute, TUCA and others. The third session of the open-ended intergovernmental working group (OEIGWG) was held at the end of October. In the lead up to the session, the Chairperson published elements for a draft legally binding instrument, setting out proposals on the treaty’s content. Treaty Alliance organisations supported these discussions and contributed to the draft elements through a combination of public advocacy and events during the third session.